So, it really wasn't a hoax. There really was Red Velvet flavored Oreo cookies in the making. Thank goodness I was off from work today and I went right to my local Kroger and picked up 2 bags of these yum yum goodness for $3.99. One I will keep at home and one I will share with my co-workers tomorrow. Review: They are OK. If you love the original Oreo's then you will love these. 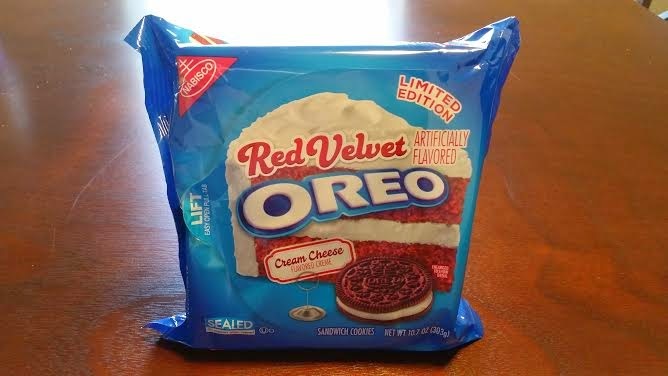 They taste exactly like the original Oreo, but I had to keep in mind it stated "Red Velvet Flavor." Because the cookie taste like the original Oreo cookie, it was hard for me to tell if the filling taste like cream cheese. The cookies are in a smaller package than the regular Oreo's. 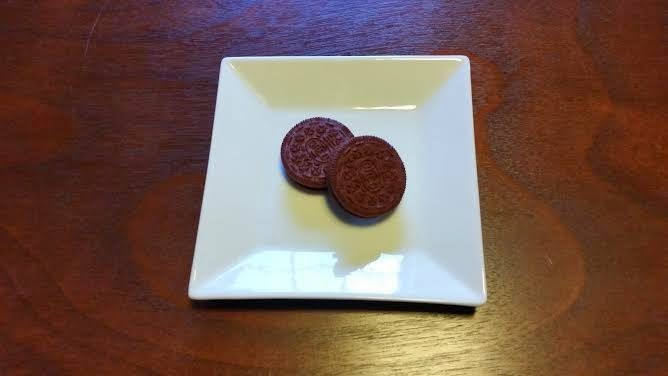 The Red Velvet Flavored Oreo's are available for a limited time. I will be keeping these for my nieces/nephews because they enjoy anything sweet. Are you a fan of anything Red Velvet? 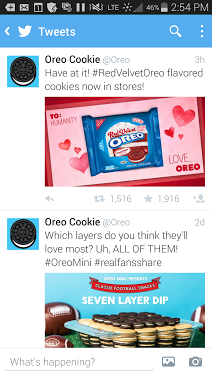 Will you be trying out the cookies yourself? I have been looking for these as well. I feel a late night trip to Kroger coming on. I want to use them to make some special cookie pops for my son's Valentine's Day treats for their classmates. I am also looking forward to trying them as they are. How was the cream filling? Does it taste like cream cheese?